Create Anaglyphs From Single Pictures. 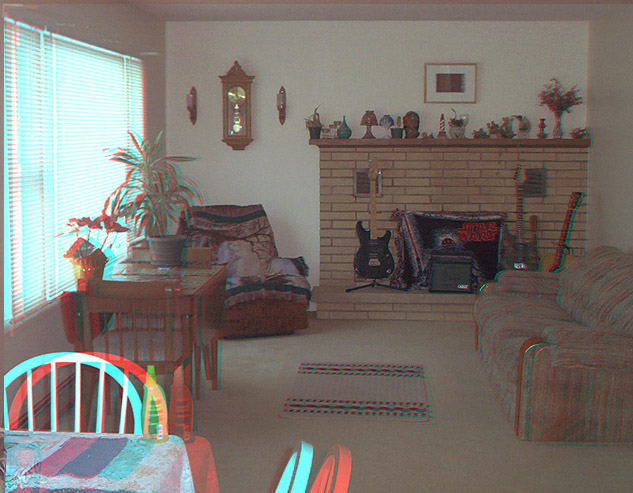 View your pictures with 3D Glasses. Select a portion of your picture and choose how far out that portion of the picture will appear. Create Anaglyphs From Dual Image Pairs. Handles Left/Right image pairs and single images that contain side-by-side pictures as well as opening .MPO files. Can create Can create red/blue or yellow/blue anaglyph as well as side-by-side images. Create Anaglyphs From Depthmaps. Add a hidden image to any photograph. Includes sample depthmaps. Or create your own depthmaps with the built-in depthmap tool. Create Anaglyphs From a Sequence of Single Images or From a Sequence of Dual Pair Images. 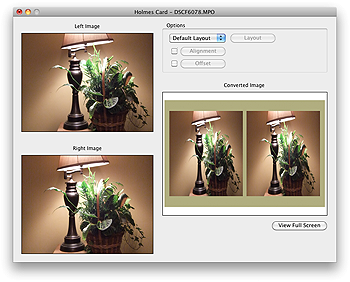 Export the results as another sequence of images or as a QuickTime movie. Batch Process .MPO files, Side-By-Side Images and Folders of Left/Right Image. Create Holmes Cards. Create custom sized Holmes Cards for use with different styled viewers. 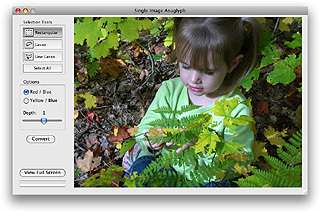 Anaglyph Workshop, our Anaglyph Software, is Copyright © 2008-2019 by Sandy Knoll Software, LLC. 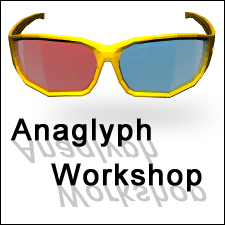 Anaglyph Workshop: Movie Edition, our 3D Movie Software, is Copyright © 2012-2019 by Sandy Knoll Software, LLC. Apple, the Apple logo, iPod, iPad and iTunes are trademarks of Apple Inc., registered in the U.S. and other countries. iPhone is a trademark of Apple Inc.